Anyone who loves water-globes and waterballs will adore these Christmas Waterballs. Each whimsical snowy display measures approximately 6cm wide by 7cm in height, making it a splendid little accent to use in any of the areas of the home. For the collector, this is a great small-sized waterball to use in groupings and show off your collection. Snowmen are the featured guests in these delightful waterballs. 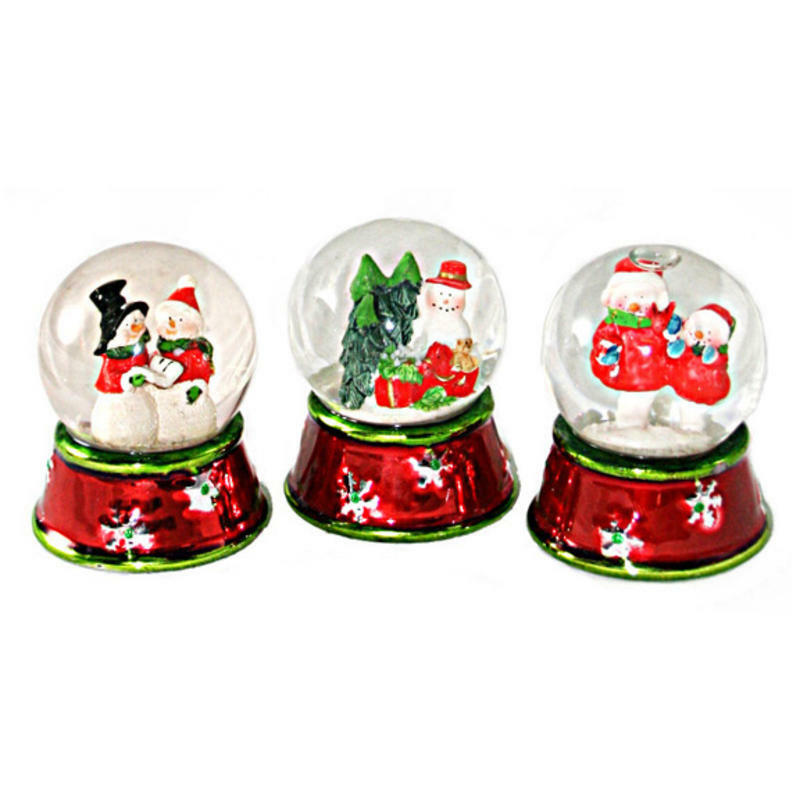 Each of the three assorted styles showcase a scene depicting snowmen, detailed with holiday flourish and colours. What better character to highlight in these serene waterballs than the snowman? When shaken, the flakes of fluffy, white snow will fall all around the cheery chap, making it a very natural, and quite beautiful, scene for you to enjoy. The trim and details are done in metallic jewel-tones of the traditional colours that make the holidays so special- red, green, and silver give it a distinctly festive look. This would be an excellent gift to share with someone else, and they will use it in their own holiday themes again and again.